I host a weekly link party each week called Tutorials & Tips where bloggers link up their latest and greatest DIY projects. I have the privilege of choosing my favorites to highlight each week! Here are this week’s amazing room reveals, tutorials, and DIY projects. Enjoy! Click the word "Next" to scroll through the images. Click the blue text to be taken to the tutorial. Thanks so much for the feature! 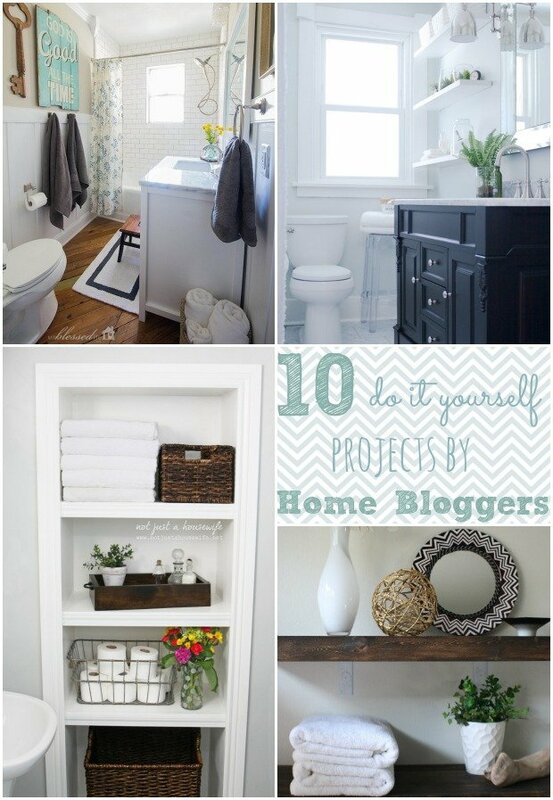 The bathroom makeovers are so great, gives me hope for mine! Thanks again and have a great weekend! Love all of your painting progress and painting tips Abby! Thanks for linking up. Love your easy to follow shelving tutorial Stace! Thanks so much for linking up! Thanks so much for the feature Beth! Happy Valentine’s Day. I hope you have a good, long weekend! Thanks for linking up Katie! Happy Valentine’s to you!